Let me tell you all about another one of my favorite perfume, which I bought in April 2012 and have been using since then. This one is my favorite for occasions like lunch or coffee with friends, playdates etc. 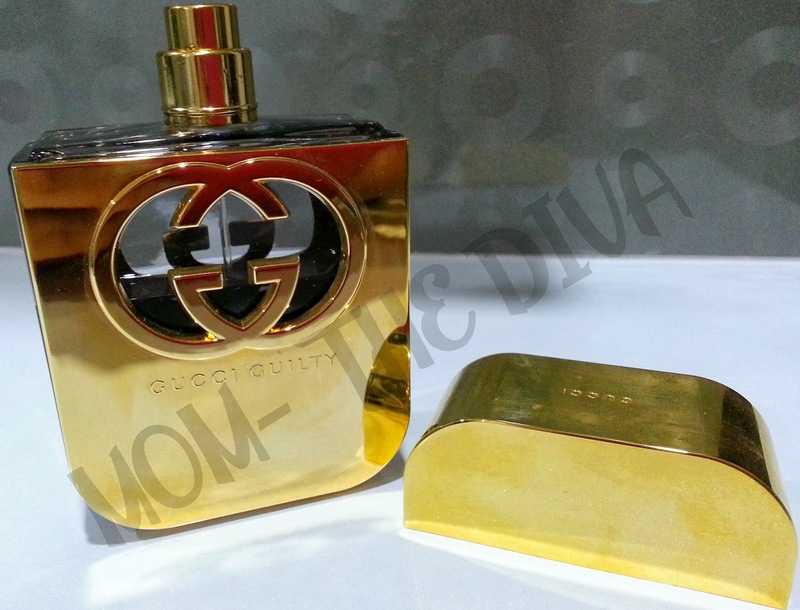 This is the Intense Version of Gucci Guilty. 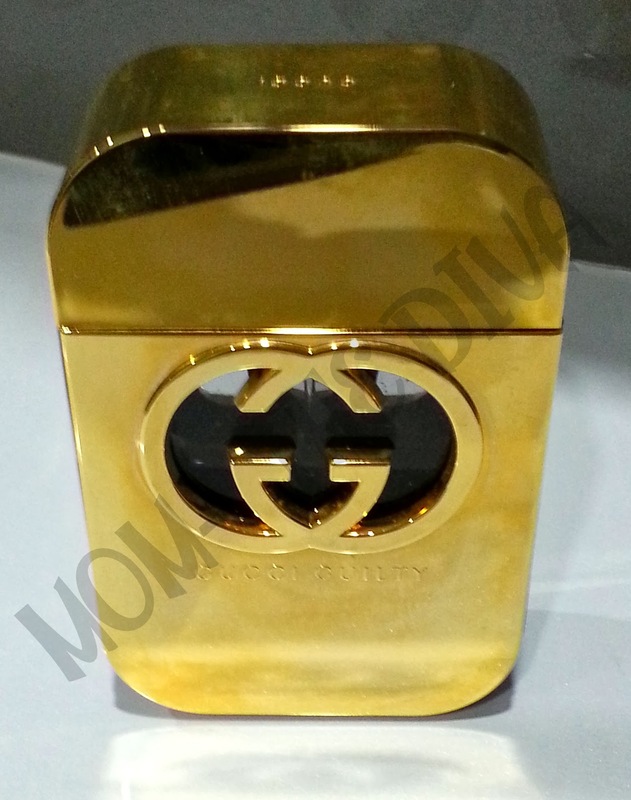 This comes in a metallic gold bottle with Gucci Logo. An interesting bottle design, I must say! The fragrance, as you spray is Spicy and is dominated by Pepper. That is a good change from most of the fragrances that I have, which have floral top notes. Slowly, it gives way to light floral middle notes, which is again something not so common among the fragrances I use. The fragrance slowly goes into the woody and musky scents of Patchouli, which is my favorite part. I like this fragrance as it begins in a different way than all my other fragrances, while ending in woody and musky the way I like it. The fragrance is strong but not overpowering, best for the time when I want to be something different! To talk about the long lasting nature of this fragrance, it easily lasts for atleast 8-10 hours, sometimes more. Retail Price- S$87.00 for 30ml, S$115.50 for 50ml and S$145.50 for 75ml.